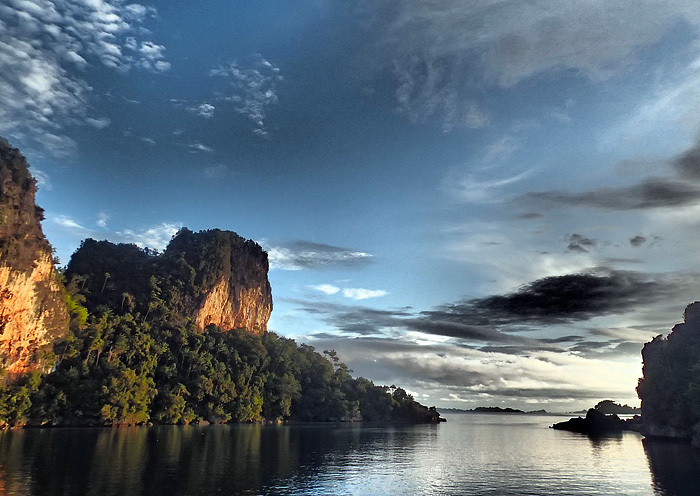 Raja Ampat liveaboard boat tours: Locally owned adventure trips. Available all year. Raja Ampat liveaboard boat tours are one of the best ways to see as much of Raja Ampat as possible in a short amount of time. We’re not talking about the many liveaboard dive boats that cruise the Raja Ampat archipelago: We want to introduce you to local operators who provide affordable Raja Ampat marine adventures to travellers interested in more than just diving. Locally owned liveaboard boats provide an opportunity to visit far more than Raja Ampat’s best dive sites. In addition to their regular dive, snorkelling and sight-seeing itineraries, local liveaboard operators can provide affordable private charters to groups wanting a Raja Ampat adventure of their own design. Using diesel powered traditional wooden boats and large outboard powered longboats, Raja Ampat liveaboard boat tours are designed for small groups of four to eight people and include land excursions and all meals. 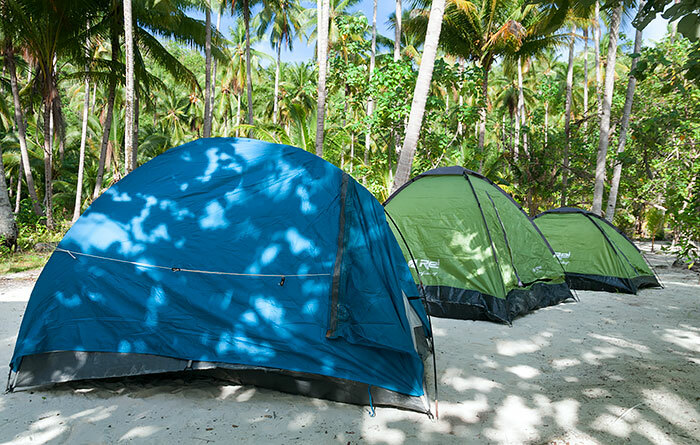 Sleeping arrangements include being able to sleep onshore under the stars on deserted island beaches. 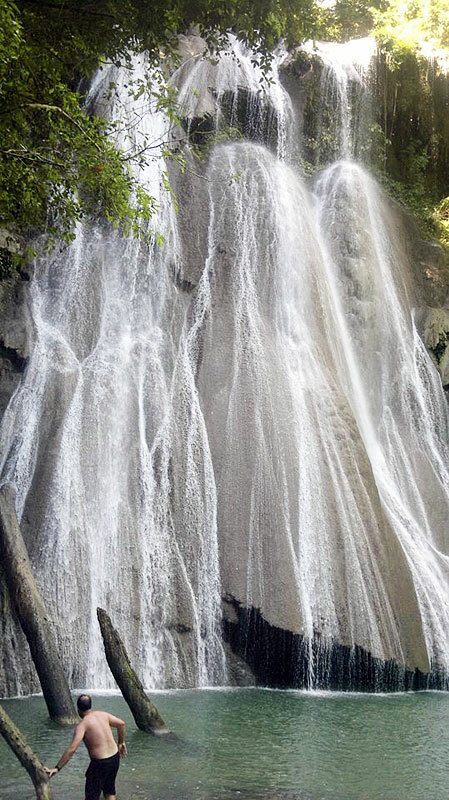 In addition to diving, snorkelling and remote island village visits, locally operated liveaboard tours provide the opportunity to hike to waterfalls, scenic viewpoints in hidden island seascapes, Bird of Paradise display sites and Raja Ampat’s many culturally significant sites. Boat Type See photo in gallery at top of page. 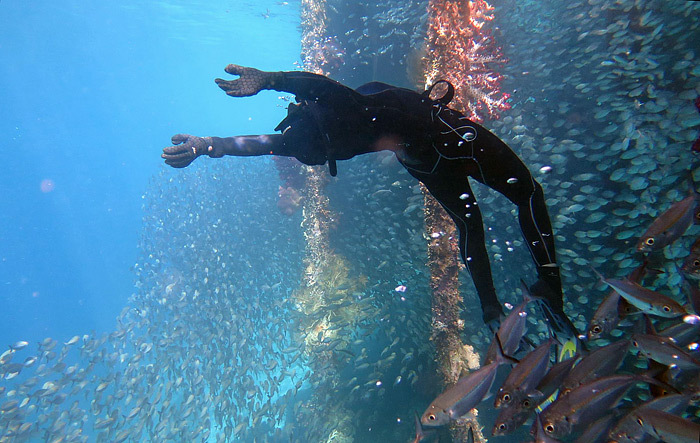 Deni Malingkas’ Raja Ampat Adventures is an established business with a great reputation and offers liveaboard adventures on a large and comfortable boat. Raja Ampat Adventures’ Sulawesi built vessel has sun and canopy decks, spacious communal sleeping quarters, kitchen, bathroom and toilet and a 1KW generator providing electricity. Accompanying the boat are a 7 metre fibreglass longboat which acts as a tender and for exploring shallow waterways and a pair of sit-on-top kayaks for personal excursions. 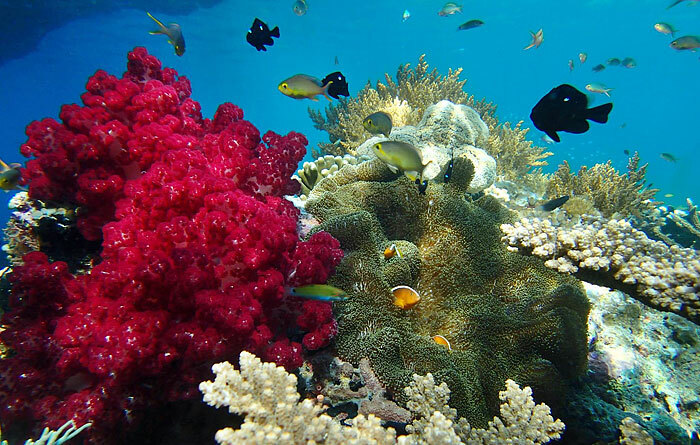 If Wayag is on your must-see list, Raja Ampat Adventures provides one of the best ways to experience it. 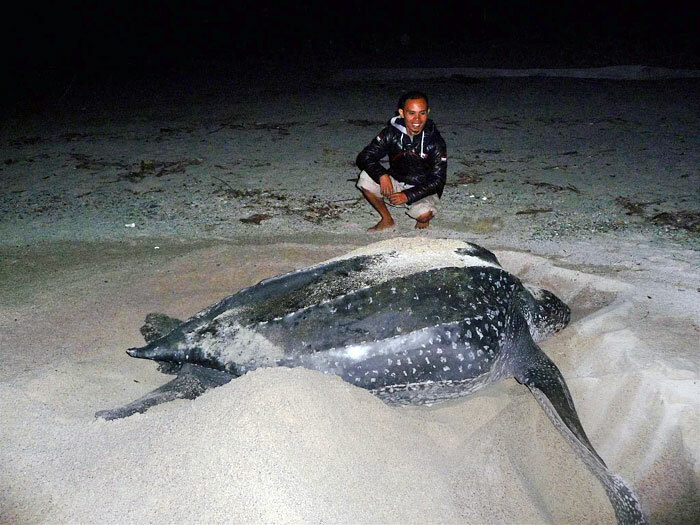 A note to turtle lovers: In addition to Raja Ampat liveaboard tours, Deni can also organise land trips to the north shore of the Papuan mainland to see leatherback turtle nesting grounds. If you’re passionate about photography, Deni’s an excellent guide with a good eye for great photos – see his work in the gallery above. 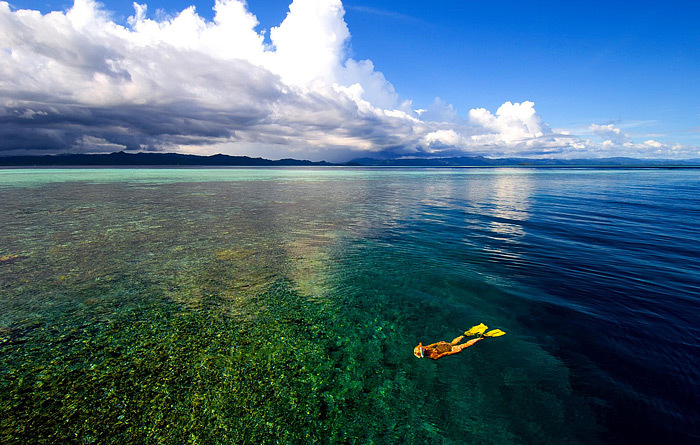 (Main image by Claudia P, courtesy of Raja Ampat Adventures.) Thanks for letting us repost them Deni! If you’re looking for something specifically for divers, Yenkoranu Homestays’ KLM Insos Raja Ampat is perfect. The Insos is permanently based in Raja Ampat, operates throughout the year, and caters to small groups (6 max) of divers and snorkellers. 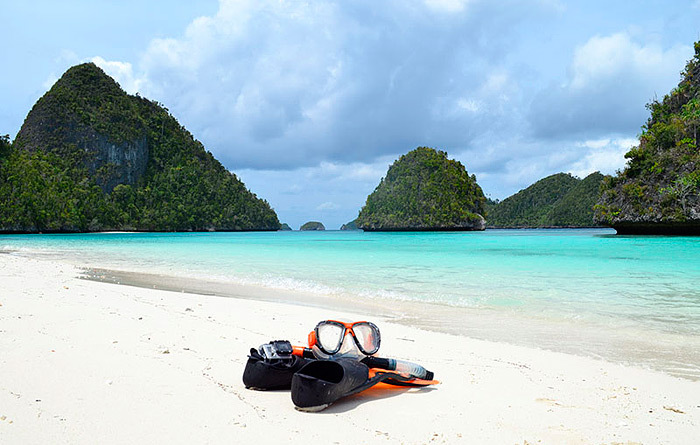 See the Insos Raja Ampat page for prices, schedules and photographs. I am looking for some people joining me for a liveaboard, snorkeling and trekking trip from 14th to 20th February with Deni Rajaampat, you can find his website and the itinerary here. I’ve originally planned to take the trip with my daughter, but that won’t work unfortunately, and now I’d like to find someone to take her spot. In addition to this, there are at least four more spots on the boat, so a group of travelers is also welcome. You’re welcome to join our facebook travellers’ forum group and post this request there too if you like. Good luck! We would like to book a tour for 4 days starting 16th or the 17th of october. We dont know how to book so could you please provide us information and help us out. If you want to book one of the trips above, or want more information than is provided on Stay Raja Ampat, then you need to contact the providers directly. Me and my boyfriend would like to take a 7d/6n boat trip optimally starting from September 26th 2018. Does anyone have similar plans to form a group? You’re welcome to join and post this on our Raja Ampat Travellers’ Forum facebook group to increase your chances of finding tavelling companions. Hi, me and my friend planning to visit Raja Ampat from 22 dec to 28 dec. Only two people of us and we’d love to join or share boat! Anyone plan to visit Raja Ampat and looking for boat sharing can contact me through wirawanhenny@yahoo.com. Thanks! 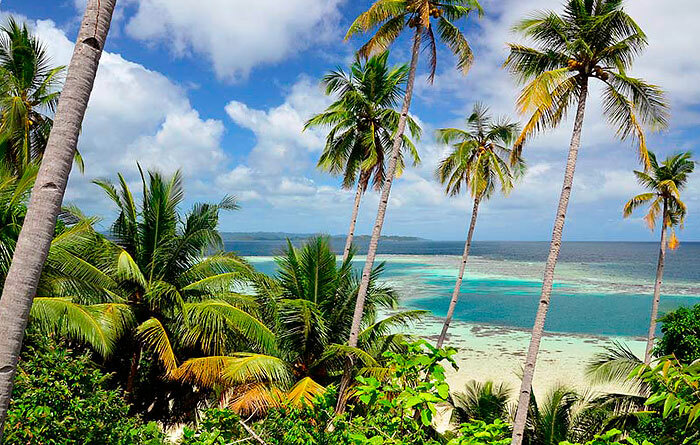 If you use facebook, you’re welcome to join and post in our Raja Ampat Travellers’ Forum group, which we set up specifically to let folks contact each other about cost sharing. My husband and I are interested. Ideally we would like to start on 12 September though would you be able to accommodate? My gf and me are also interested in a 7 day trip, but starting from September 26th. Let me know if this could match. We would like to have a boat trip in Raja Ampat min 5-6 days max 10 days between July 28th and August 11th (2018). We are 3 people in total : my wife, my daugther 14 years old and myself. Is it a good period / good time to do a boat trip end July/Beginning August ? What kind of boat trip can we do ? We would like to go and visit Misool, is it possible ? 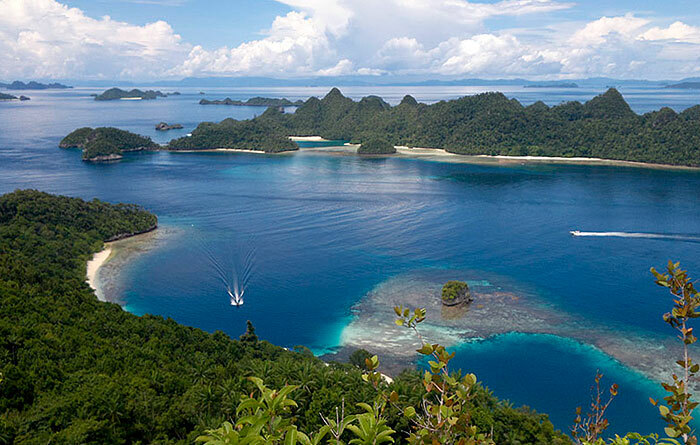 Your choices are somewhat limited in late July and August, as those are usually quite windy and many liveaboard operators leave Raja Ampat then. See the weather page for more information. At that time of year, the best way to visit Misool would probably be by staying at homestays and doing day trips by boat. 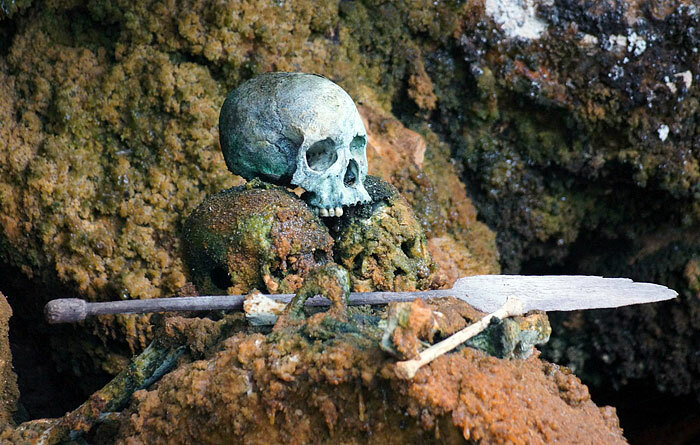 That is also easy to arrange in the northern part of Raja Ampat covered by this website. 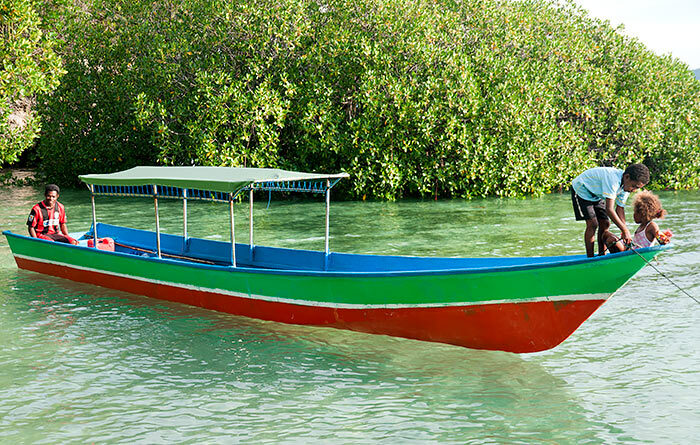 All homestays can organise boat trips and transfers to other islands so you can experience as much as possible. Hi, we are a married couple in our late 50s wanting to snorkel and bird watch in Raja Ampat for 1 week to 10 days. 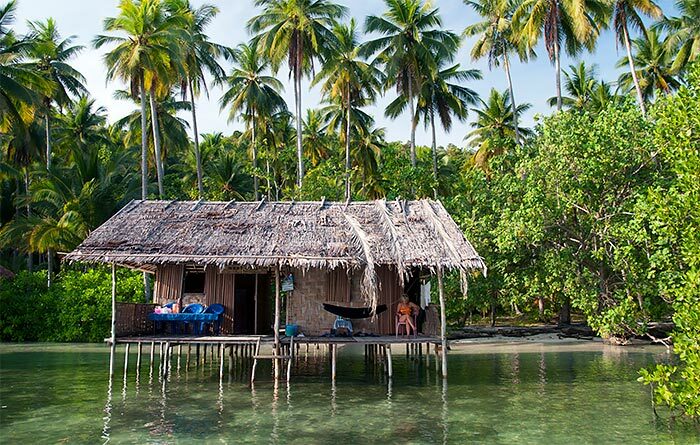 We want to live on a boat possibly with Deni Malinkas Raja Ampat adventures. We would like to go either November 2018 or early 2019 please. We would love to join up with others interested in this. If you want to, you are welcome to post this in our Stay Raja Ampat Travellers’ Forum on facebook to help increase your chances of finding travelling companions. Hi, I’d be interested in a 3 to 6 days boat trip in early february 2018. 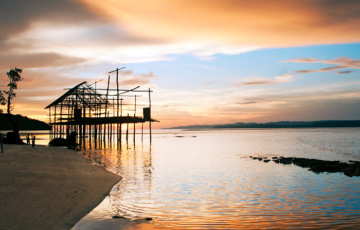 I arrive in sorong on feb 2 and leave around feb 10… would love to share a boat! We are 2 snorkelers looking to do a trip with Raja Ampat Adventures (with Deni) His current schedules trips during our time period are full but there is a second boat available if there are 4 or more people. Is anyone else looking to do a 7 or 10 day trip leaving around February 11, 12, 13 or 14? (we are flexible with trip length and semi-flexible with start date) We are pretty mellow travelers in our 40’s/50’s who LOVE the underwater world! If you want, you’re welcome to also post this over on our facebook page to increase your chances of finding some travelling companions. Hope you do! My sister and I (55 and 53) are also looking for this 8days/7nights trip. We are snorkelers who love underater world too. Do you know the exact prices for this trip? We really like to go to Wayag. Is that also a favorite for you? We are two people and we would be interested for a boat trip (with Deni or another boat but minimum 7 days) . We will be there around 16 of february. Do you want to talk about any possibilities of doing this trip together ? We will be there from December 19 to December 24. We would like to find a boat to snorkel and go to Wajag. What possibilities do we have? We are two people. 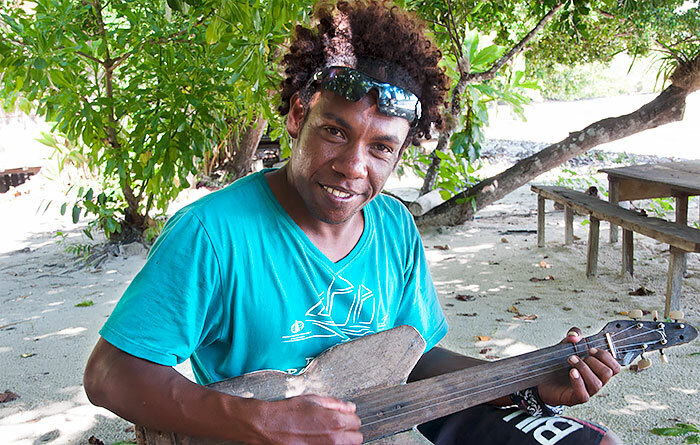 Every homestay on the website provides boats for snorkelling trips oihana, and many also offer trips to Wayag. Use the website advanced search to quickly find homestays offering Wayag trips. We are a swiss couple (30 and 25 Years Old) and we are looking for a cruise with snorkeling and Wayag visit between 24th of November and 7 of December (or even 10th). We arrive in Sorong the 13 october and we come back the 16 november . We look for a cruise including Wayag with mostly snorkeling…. 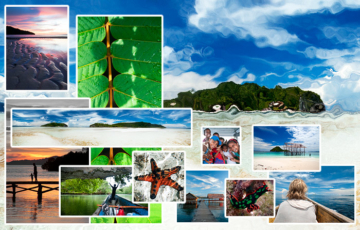 Anyone traveling to Raja Ampat and willing to team up, contact me (dvlmmm@gmail.com). Me and my boyfriend are planning our trip between 28th September – 10th October. If we don’t get the place in the ship, we would like to find companions and plan our own Raja Ampat adventure. Together is cheeper to travel, since we can share the prices for the boats to travel between islands and local guides if necessary. Let me know if anyone interested. If you want, you’re welcome to post this over on our facebook page to increase your chances of finding others to share with. Good luck! A friend and I are planing a one-week trip to Raja Ampat, from Saturday 23Sep morning to Friday 29Sep evening, starting from and arriving at Sorong. It seems we need to be at least 3 or even 4 people to get a boat cruise. Would anybody be interested in sharing a boat cruise on those dates? Let us know. Cheers. Hi, we would like to book 7 nights/6 days on Denis’s liveaboard from around 4 January, 2018, if possible. There are 3 of us – a couple in our 40s and 50s, and son in his 20s – and we are snorkelling, not diving. We need 4 people at least to book the boat, so is anyone interested in getting together with us? Looking forward to seeing beautiful Raja Ampat. Hi, we are a family of four; parents in our parents a daughter and a son (52,49, 21 and 18) and we are looking the same thing. We have not our schedule yet (we are waiting for a boat confirmation on Flores Island), but I think, that our dates could be similar than yours. Do you have arranged something already? Hi, Ruben and family. We now would like to book 9 night’s / 10 days on board; is this possible for you? We are English, living in Ireland for many years. We are 48, 51 and 23, and hope our good friend and neighbour (male, 27) will travel with us also. We could be a good match. What do you think? We are also a family of 3 and are interested in joining you for Deni’s liveboard for snorkelling . Our dates are flexible starting from around 3-4 January . Contacted Deni several times but he has not responded . Have you found a match for the dates? Hello, my name is Anna, solo traveller. I’d be happy to join any of you guys for a few days at the beginning of January 2018 if you are still looking for someone. Thanks! Can any of you give me any feedback on the 7days-6nights liveaboard trip to Southern-Northern Raja Ampat with Pamitrantours? I have found it online but can’t find any reviews.. That would be helpful ..
Hi we are two italian girls willing to go for a boat trip with deni raja ampat adventure for 7 days/6nights from 1st to 7th September. The trip can leave if there are min 4 people. Anyone willing to join?? we (my wife and me) are planning to do a 10 days boat trip with Deni in November. We are snorkelers. Anyone interested to join? we’ll be there around Nov.10, still flexible. Are you single traveler? Would need at least 4. I am planning to go to Raja Ampat with my girlfriend end of november-beginning of december) we are a couple from Switzerland. we could be on Waisai the 24th Nov and leave latest 9th of December. Hi there, we r griup of 3 ppl, we woul like to 7 days trip, but we just get there around 3rd or 4th of oct! I’m one person. I’m a snorkeler now though I used to scuba dive. I’m available anytime after September 24 and have to finish the tour on October 20th as I’m moving on the Nepal. Let me know if you want to coordinate a trip. I’d prefer the 10 trip and the 7 day one is fine. Hi patricia ! Me and my friend marco what to do the same .. keep in touch ..
Hi Elena, finally you will come on the same says with us? Hello, we are two people and possibly we would like to do the same from 20th of august to the 26th or the week after with raja ampat adventures! Do you know if the tour starts every Sunday? Anyone having plans for the 7 days cruise like October,beginning of November? I’m interested, and have a flexible schedule. 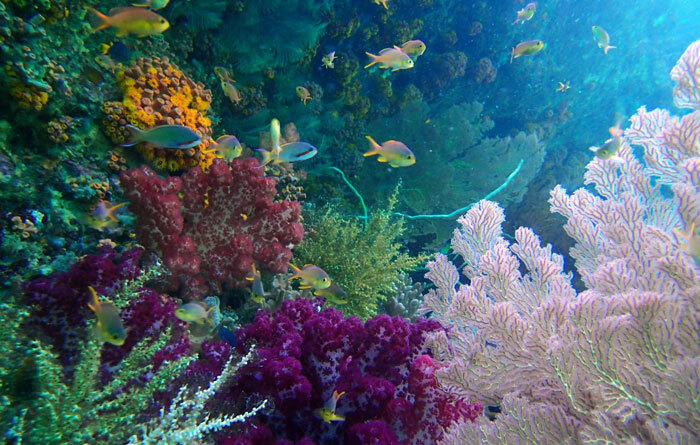 I’m not an experienced diver and would want to be on a boat that would accommodate a snorkeling along with diving. I’d like to know more about your group, and what your interests are. me and the husband are planning a trip to Raja Ampat in November.We are interested in a 7days boat trip with Deni.Anyone else planning the same? We are group of 3 planning the 7 day tour as well around end of October beginning of November.When do you plan to do the cruise? Hi we are 2-3 who are very interested in a 10 days boat trip in october 2017. Is it possible to join a group? We are 3 people as well,but 10 days trip will be too long for our schedule. We were thinking for 7 days trip October as well. Is that too short for you? We would be 2 persons and would be interested in 7 days, end of Sept, beginning Oct. Would this match? We are 2 people interested in a boat tour at the end of September, do you still need extra people? I think that we have the number for end of september beginning of october. but how does it work? who do we need to contact to? nous sommes 2 personnes nous voudrions faire l ‘excursion fin septembre avez vous formez un groupe? I’m interested! Can you tell me more about your group and interests? Hi! we are 2 people. We are looking for more people to make de tour 7 days / 6 night around raja ampat since 20th of August till 26th with Raja Ampat Adventures. Hey! Since I could not find any review about Raja Ampat Adventures when organising my trip to Raja Ampat, I thought I make one now! We did a trip with Deni and his crew in late September 2016. To start of, the trip was absolutely wonderfull. The boat he was using back then is very spacious. Deni is building a new boat of his own now, so it is even supposed to get better. You can have comfortable sleeping. Everything is very clean. Sometimes you can take a shower at the place were the boat is for the night, when not, you can take a shower on the boat. The crew is so nice and funny, also very intelligent people. Most of them come from North Sulawesi. They feel more like other guests that are making the trip as well than as a crew :) The food is fresh and very delicious. Everyday there is fresh fish or chicken, always vegetables, rice and fruits. They provide an afternoon snack and they serve scrambled eggs for breakfast. We really did not expect such nice food! Keep in mind that there will be no softdrinks or beer on the boat, which for most of us was a clear fact, but other guest where really pissed of about it. With this trip you start to realise about all these islands where no people are living or only fishermen rest for the night. And Wajag is actually quite far away! It is a magical place and you will be there for an afternoon and a morning or a day, this depends on when you arrive there I think. We did two trekkings to a viewpoint and some snorkelling there. If you want, you can take your matresss and sleep on the deck of the boat. This trip will bring you to places wich are wonderfull but where you would have never arranged a trip for by yourself. It was really nice. We still think about it so often! We really recommend everyone to join one of Deni’s trips. The only thing I want to say is that when you want to experience the Islands local life, you have to go to a homestay as well. I loved the boattrip but I dit not have the feeling that I learned something about the area, I only saw a lot of beautiful and impressive things. 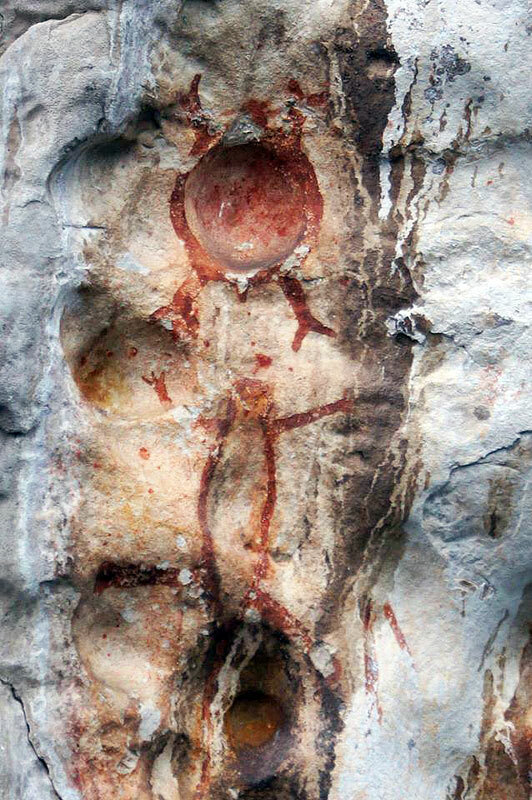 Also keep in mind that Deni and his crew are doing their absolute best and are organising amazing trips but they still have to learn about what western tourists want and do not want :) So it will be perfect, but some things will be different than you expected. You’re welcome to post this over on our facebook page to increase your chances of finding some travelling companions. Do we get to see pianemo? Are you still looking for people to join? Your dates in January are fine with me. I am living in Bali now. there are two people that wish to join, please contact me in private. Hi, I’m looking at doing a tour with Deni in March 2017 for 9-10 days. Need at least 5 others, if anyone wants to join!!! 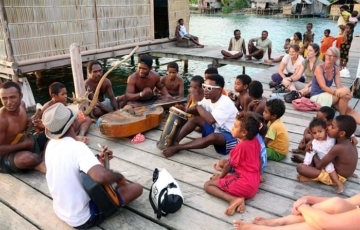 There are 3 people arriving in Sorong March 26 and departing March 31 looking for doing a tour with Deni. Hello Celia, I am interested in joining March 2017. Flexible on dates. Please contact Deni or me, if you are interested. Hello, we (2 people from France) plan to be at RajaAmpat on this date. Is there still available place on the boat ? Because we would be interested to join the trip. Hello, my boyf and i planning on going there too on nov. What kind of tour are you doing? 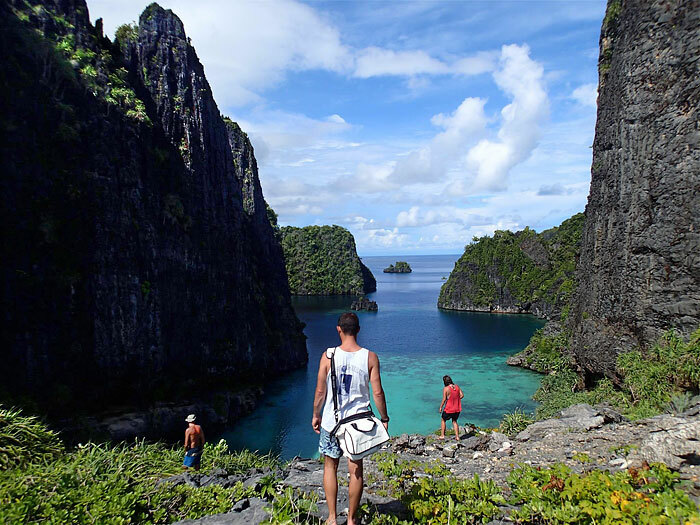 We are two guys from Singapore staying in raja ampat from 5th to 13th Nov. We are interested in diving, trekking, kayaking and any other activities. Let me know if anyone is interested to join us and share costs of the excursions. To increase your chances of finding some travelling companions, you’re welcome to also post this over on our facebook page David. Good luck! Same plans here, but for 20nov-27nov 2016. Are you able to shift your plans a week? I don’t have that flexibility, but perhaps you do. Hi David, i sent you a private message on facebook. My husband and I did the 6 days 5 nights boat tour with Freddy from 15th to 20th Feb 2015. 15th Feb: We arrived in Sorong, someone picked us up from the airport and brought us to the port to take the 14:00 ferry. We arrived in Waisai at 16:00 and Freddy picked us up (when he arrived, more than 30 mins later) We slept in a guesthouse in Waisai. 16th Feb: Freddy was supposed to pick us up at 9:00 but, still not knowing why, he came only at 12:00… We finally ended up on the boat and reached Gam island. We did some snorkeling near our camp. 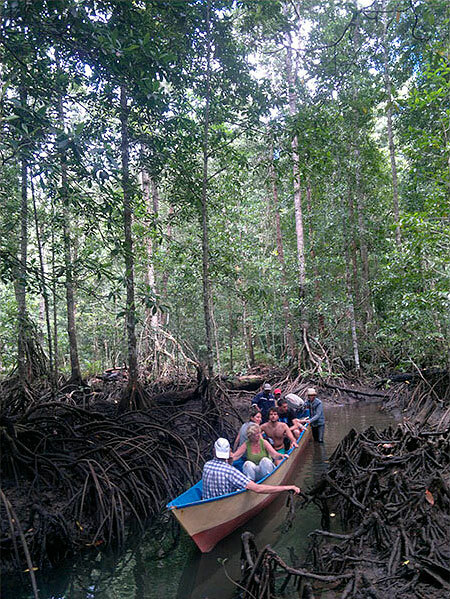 17th Feb: We went all around Gam island with 1 stop for snorkeling in the morning and at about 16:00 we arrived to Yenwaupnor Village where we did a very nice snorkeling and then bird-watching. We took the boat again to install the camp in Airborek island. 18th: We went to Manta point and we saw many Manta, it was beautiful. Musa, the cook, came snorkeling with us and took us to a place where we could see many of them! We then wanted to go to Pianemo but the waves were too high so we headed up to Batanta and arrived in a empty island (actually an abandoned island where there used to be an administration center) where the snorkeling was amazing! 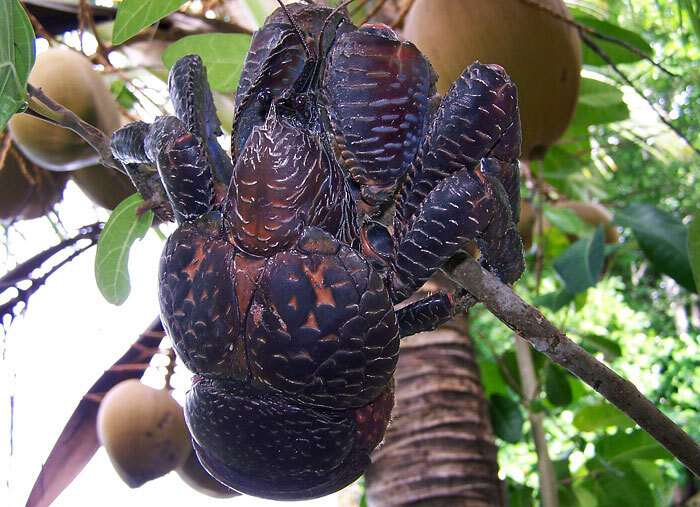 At night Musa took us for a night trek in the forest and spotted many giant Hermit Crabs (attracted by the coconuts Freddy prepared in advance) It was a great experience! Musa even cooked one for us! 19th: We managed to go to Pianemo and saw the beautiful landscape we were expecting! We slept there but it was the first time that Freddy ever stayed the night there so there was no cooking place for Musa and it was not really convenient. 20th: We went to Mansuar where we had the best snorkeling ever in Sawandarek!! We finally finished the tour in Koryau Kayem homestay. – Someone was always coming with us for the snorkelings (mostly Musa) so he could show us many things that we might not have seen by ourselves. – The food that Musa cooked was really good! – The boat is really uncomfortable and noisy. The tour of Gam island was really long and it would have been great to stop in the middle. – It would be better to ask an itinerary before (even if it might change because of the weather conditions) so at least you know what can be done on each island that you visit. When we arrived on Gam the 1st day it seemed that there was no plan on “what to do” and as it was our first day, we were really scared about the rest of the tour! – Freddy was not the best guide we would have expected, seeing all the other reviews. He was not talkative, not coming with us, not showing us things. It became a bit better with the time but at the beginning we were really wondering why he was acting like that. However, because we can speak bahasa Indonesia, Musa, who doesn’t speak English, was really helpful, nice, actually doing the job of a guide + a cook! I would recommend to visit Raja Ampat with a boat tour as it’s really convenient, but it’s important to be ready to spend 5 days in very non-comfortable conditions! Are you french ? Because we are looking for french people who have experience of raja ampat. 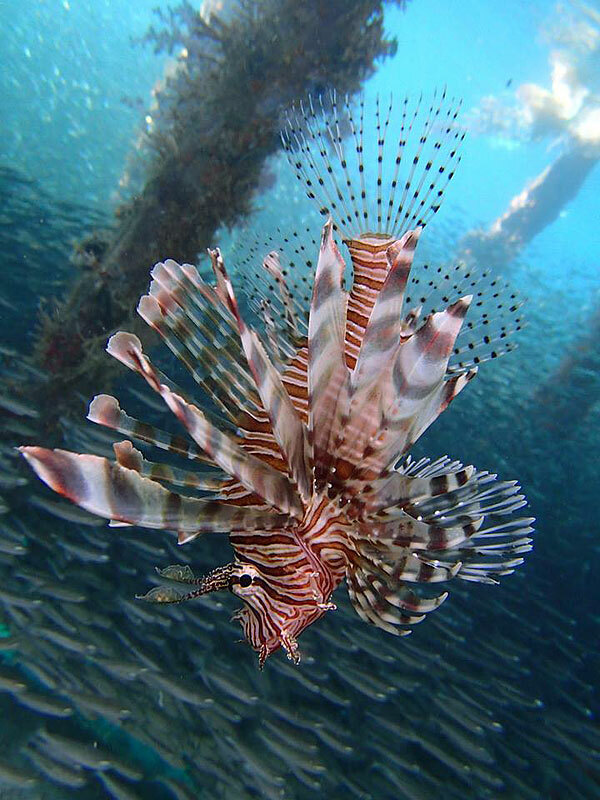 We travelled with Freddy for a 6 day/5night boat tour from Sept 28th to Oct 3rd 2014 before 9 nights at Lumba Lumba on Kri for diving. Probably worth mentioning we are a couple in our early 40’s who love to dive, snorkel, trek and explore off the beaten track, we don’t mind roughing it but do need a few nights of relative comfort every now and then. Raja Ampat is an amazing place and although we got to see quite a lot on this trip, we will be going back for more. Freddy was a kind and considerate guide, his brother Musa was lovely (best food we had in Raja was yours Musa! ), the crew were a little reserved. Itinerary ended up being 1 night on Gam, 2 nights on Arborek, 1 night on Dayan Island and 1 night on Batanta. The plan was to go to Wayag or at least Pianemo but unfortunately the seas were very rough making for an unpleasant and sometimes worrying voyage. In the end, Freddy and I agreed we had to give up and change our itinerary. Also my partner had an accident, cutting open his hand really badly, so we decided it was best to not go too remote just in case we needed medical assistance. The seas and currents in Raja Ampat are the most changeable we’ve experienced both above and below the surface, this means plans can and do change, not because the locals don’t want to please, far from it, it’s for your safety. Some of the reefs we snorkelled were truly amazing (Dayan and Gam near Sawinggrai village were my favourites, you name it, we saw it) and I was lucky enough to see 3 mantas at Manta Sandy. We went on little trips to see the birds of paradise, a couscous and coconut crabs, climbed a limestone island for a good view, visited a bat cave and enjoyed the local music at Musa’s village, Yensawai on Batanta. Be prepared to pay a little extra to local people for some of these trips and to be a novelty with the children  Overall we had a great time but this is not a trip that would suit everyone. If you have a spirit of adventure, don’t mind mandi’s or a lack of privacy, can take some bumps and bruises and love the great wild outdoors then you will be fine. There really were no comforts at all, the boat was very basic, the engine very noisy and in hindsight we would have preferred to sleep on the boat. As romantic as camping on a beach might sound, the sand flies ate us alive even on the very windy Dayan Island. We would also recommend learning a bit of Indonesian and taking a phrasebook as communication was not always easy. Needless to say taking a very comprehensive medical kit and being prepared to be completely self-sufficient is a necessity. A word on footwear, we were barefoot for the nearly the whole 3 weeks but a secure sturdy sandal (wetsuit boots at a push) were absolutely necessary for climbing the very sharp limestone islands. We still need to go to Wayag, Pianemo and Misool and quite a few more islands, so saving our money for our return! I will be flying to Sorong from 20th December until 1st Jan. I am travelling alone but would love to join a liveaboard if any tours are running that I could join? If you’re interested in joining one of the tours described above, you’ll need to contact them directly to find out about their schedules and to book a place. If you do go with one of those, we hope you’ll find the time on your return to leave your comments or a review here. Thanks and all the best for your trip! Hello! we are two sister who are going to raja ampat from de 31st of october to the 5th of november. We are very interested on snorkeling, diving and going to waisai. Any recomendation? liveboard or homestay? That’s not an easy question to answer Lucia! Especially without knowing what level of comfort and sleeping arrangements you’re looking for.